It was early Christmas morning. The sun had not yet risen. 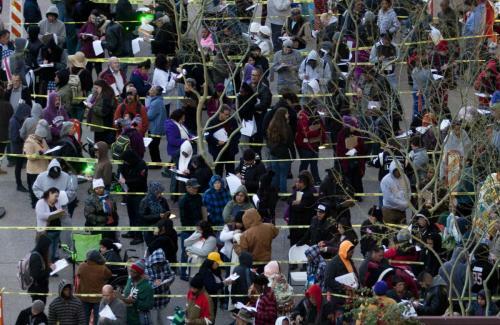 It was brisk; there was a bite in the air, and the streets of downtown Phoenix, Ariz., were empty, except for a line of people, bundled in coats and blankets, and sleeping in tents along one wall of the Phoenix Convention Center. Several held colorful flyers with the words “free medical care” on them. They were waiting for a free three-day mega mobile hospital operated by Your Best Pathway to Health, a humanitarian service of the Seventh-day Adventist Church, to open the doors at 7 a.m. Since 2014, Your Best Pathway to Health has offered free medical and dental services to citizens around the U.S. within a mega clinic environment. The event in Phoenix from Dec. 25-27 was Pathway’s sixth clinic. 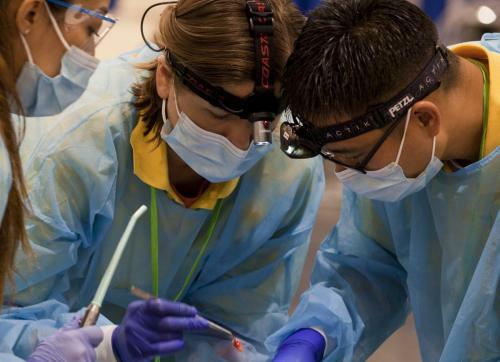 More than 3,300 volunteers, including health professionals, traveled to Arizona to spend their Christmas holiday serving the residents of the greater Phoenix area. Some drove several days, while others flew nationally and internationally. Services included medical, dental, vision, physical therapy, lifestyle education, financial, legal, child care, haircuts and even surgical specialties. 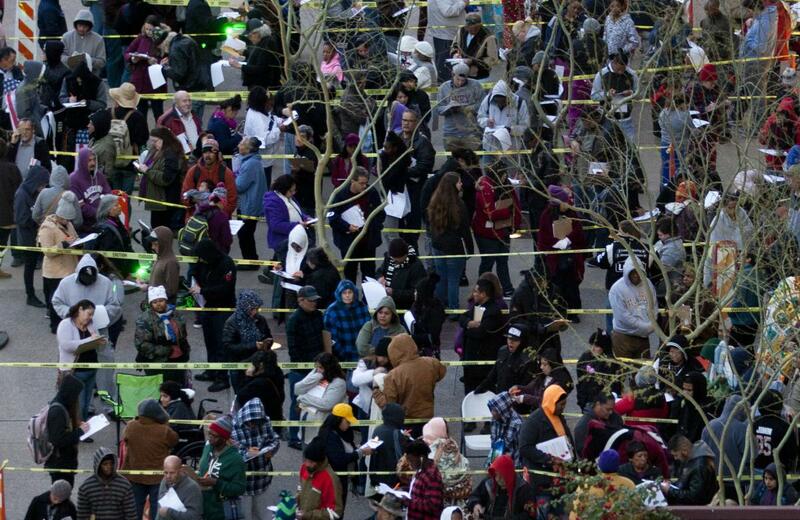 As Pathway to Health opened its doors on Christmas morning, the atmosphere in downtown changed. It was no longer quiet and somehow not as chilly. Volunteers with smiles and clipboards bustled about at the head of the long line of people, and two teenage volunteers stood off to the side with a violin and cello, filling the air with Christmas music. As people neared the front of the line, they were handed forms to fill out for registration and after visiting triage were guided to various lines inside the convention center based upon their medical needs. Jolly volunteers wearing brightly colored leis greeted patients and led them from department to department, all the while listening and becoming friends with them. Patients who did not speak English were paired with a translator. Translation for more than 20 languages was provided. On the main floor of the convention center, it was even warmer with twinkling Christmas lights, wreaths and garlands hanging from the curtains sectioning off each department. Volunteers organized their tables, eagerly awaiting patients. Toward the back of the floor, two full-sized RVs parked side by side were reserved for surgical procedures. An energetic group of younger volunteers pushed around a cart full of wrapped gifts, handing them out to all the patients’ children. More volunteers passed out bedding and complete sets of clothing donated by local Adventist churches. Christmas carols sung by other volunteers wafted across the entire room from stages set up in front of the waiting area near the dental and eye care services area. Dental and vision represented a great need, as their services are not often covered by insurance plans. The dental department was comprised of 250 dentists, hygienists and their assistants at 168 stations. Services included extractions, root canals and fillings, treating swollen abscesses, cleanings and more. “I am very thankful,” patient Mark Williams of New River, Ariz., said. “I had suffered for years, and dental care is expensive.” Williams lost a temporary crown and had decay, as well as an exposed root. 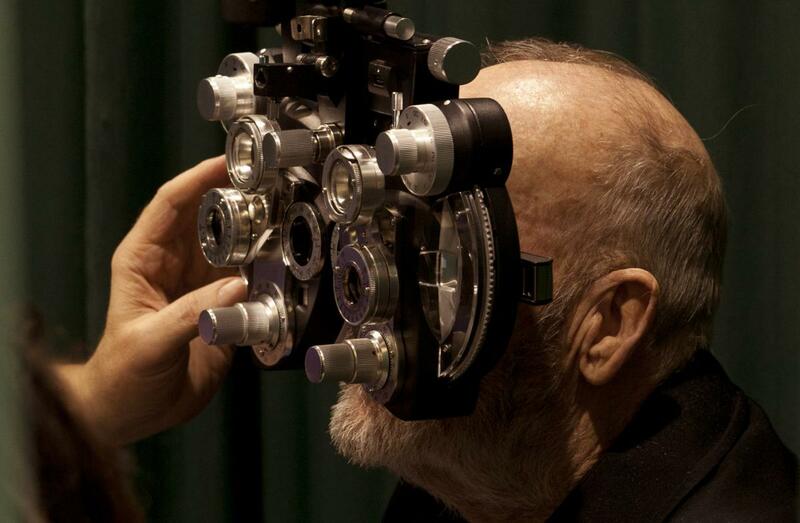 Vision had a team of five optometrists, one assistant and three ophthalmologists. On Christmas day alone, the team saw 271 patients. Many patients had more than one area in which they needed care: broken ribs, decaying teeth, cancer, diabetes and more. But at each department visit, patients received much more than healing for their physical ailments. They received hugs, prayers and simply time to talk with their doctors and nurses. Anna Hakes, assisting in the vision department while being home from college, saw it as “a great opportunity to help people.” “What would be a better thing to do for Christmas?” she asked. She wants to become an ophthalmologist. Pooja Raghani of Mesa, Ariz., a volunteer in the mental health department, administered tests for depression and anxiety, then assigned her patients to a counselor. She found Pathway to Health as being valuable preparation for a doctorate in clinical psychology at Loma Linda University. “I have a passion about serving the underserved,” she said. Across the main floor, there were many bowed heads, volunteers praying with patients and volunteers praying together. 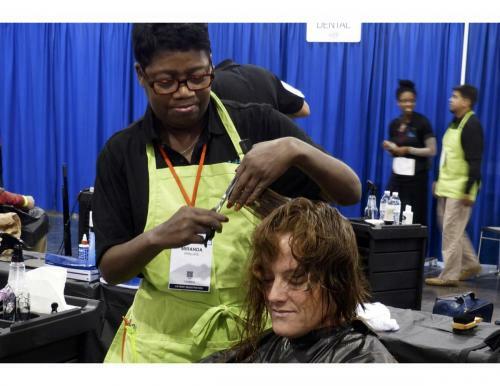 Hairdresser Debbie Binder, whose department consisted of six barbers and six stylists, asked the patients if they needed prayer. The patients not only accepted; they loved the prayers, according to Binder and other administering them. Some patients came seeking comfort for the mental and emotional burdens that accompanied their ailments and diseases. Many were taken to the mental health department, led by Neil Nedley, M.D., who has participated in Pathway since its inception. Nedley shared that patients need hope in their lives. While sharing traditional approaches to addressing matters of mental health, Nedley has also passionately pointed Pathway patients to God as the source of hope and offered prayer to ease troubled minds. 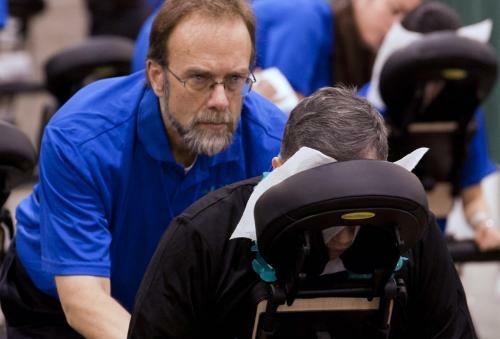 Volunteers consistently demonstrated this sort of compassion to patients. “I felt like Jesus was touching me,” shared a patient who received a massage at the hydrotherapy department. This kind of whole person care, while it is not common, is the goal of Your Best Pathway to Health. “Patients got the greatest Christmas gift ever—the gift of love,” said Lewis. The effects of Pathway to Health last long after the clinic ends. Patients requiring follow-up were connected with local area clinics and non-profit organizations that care for underserved residents. Pathway also offered information on how to live a healthier life, educating and empowering its patients on lifestyle choices and habits. Upon receiving the medical care they needed, patients visited with volunteers from the spiritual wellness team, who offered prayer, literature and, if the patient was interested, resources on local Seventh-day Adventist churches. Spiritual Wellness director Travis Maloney of Oconto, Wisconsin said that his team had many requests for Bible studies. “We will follow Pathway up with Health Information Centers to help people find better ways to live,” said Ed Keyes, president of the Seventh-day Adventist Church in Arizona. The total number of patients seen over the three days was 6,770. 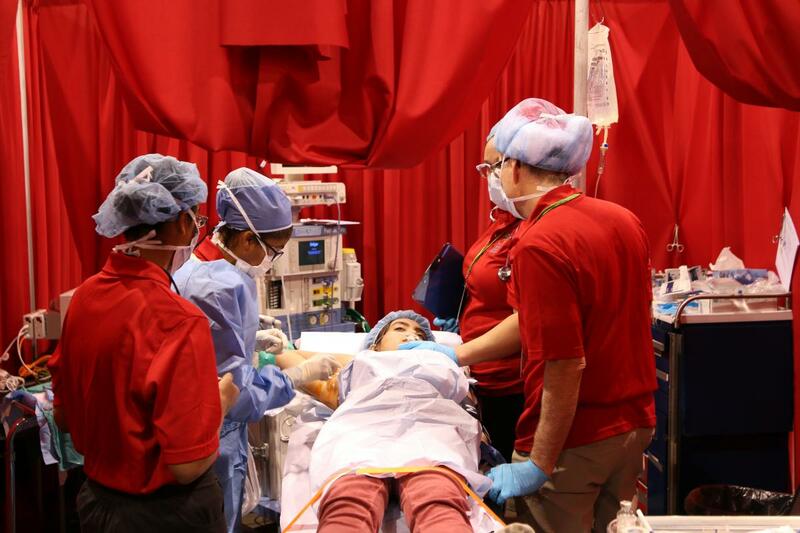 The total value of medical procedures performed and services offered was $40,608,800. In a world where the true meaning of Christmas is easily forgotten, during this season, Pathway to Health served thousands selflessly, pointed them to Jesus, the Greatest Physician, and let its light shine. Albert Dittes, Margaret Wilson, and Anita Mckown, Michelle Harnisch and Jade Yang contributed to this article.